Sun and clouds mixed. High around 80F. Winds SW at 5 to 10 mph.. Partly cloudy skies early followed by scattered thunderstorms overnight. Low around 60F. Winds light and variable. Chance of rain 40%. Nashville-based eye surgeon, Dr. Ming Wang, traveled to Fayetteville to present a special Easter “vision care program” for members and guests of the Fayetteville-Lincoln County Senior Center. Members of the Lincoln County Commission voted Tuesday evening to accept the donation of $69,000 in evidence tracking equipment to Friends of the Lincoln County Sheriff, which, in turn, is donating the equipment to the sheriff’s department. Fayetteville High School’s Tiger football team is working this off season with new equipment, complete workout stations and renovated facility. Pizza fanatics in Fayetteville, prepare to fall in love. 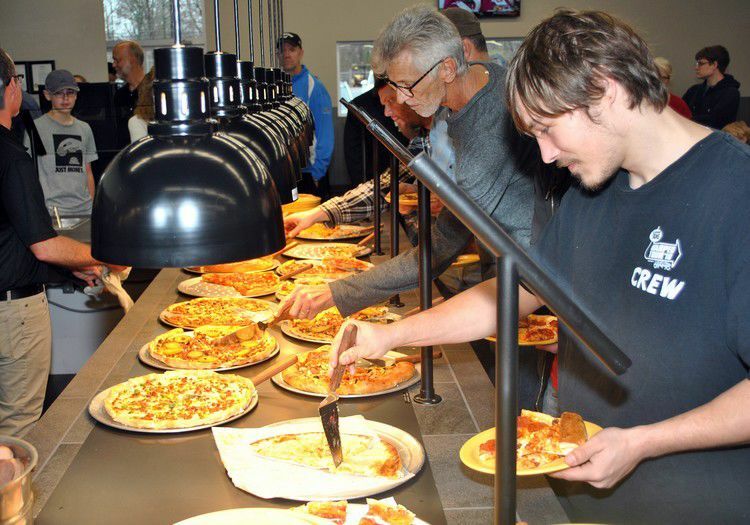 Pizza Inn – America’s Hometown Pizza Place – is bringing its All Day Buffet to 2762 Huntsville Highway starting this week. 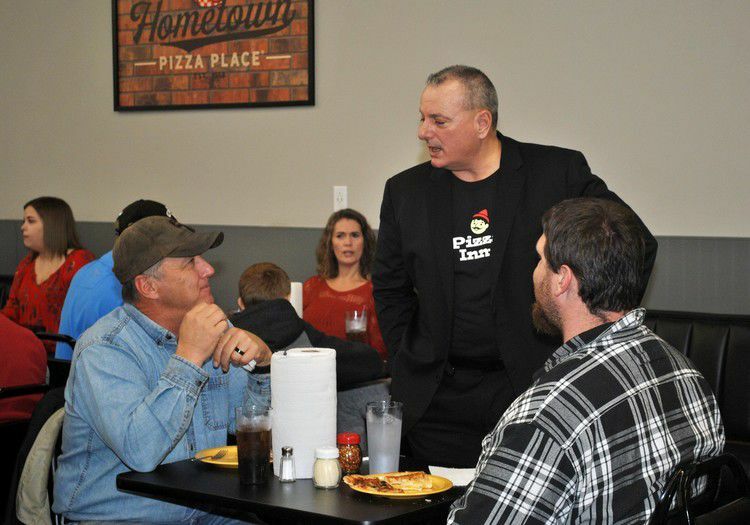 A ribbon cutting ceremony hosted by the Fayetteville-Lincoln County Chamber of Commerce & Tourism Bureau will be held Friday, Dec. 7, at 12:15 p.m.
“I’ve lived in Fayetteville for nearly 27 years, and I can’t tell you how excited we are to introduce Pizza Inn’s hand-made, fresh and delicious pizza to our community,” said Franchisee Dan Holt. Holt has pledged to donate two percent of gross sales to local charities he has been partnering with since 1992 like Hands of Mercy, Lions Club, Carriage House Players, Fayetteville Main Street, Fayetteville-Lincoln County Chamber of Commerce & Tourism Bureau and local school systems. This location is the first Pizza Inn restaurant in Fayetteville. Pizza will be served Sunday through Thursday from 11 a.m. to 9 p.m., and Friday and Saturday from 11 a.m. to 10 p.m. The popular pizza chain is known nationwide for its exceptional pizza and friendly service. The restaurant’s original pizzas blend everyone’s favorite ingredients to create distinctively unforgettable flavor combinations with homemade pizza crust that is made fresh daily. Pizza Inn, as a part of RAVE Restaurant Group, operates more than 200 restaurants domestically and internationally. For more information on the entire menu, visit pizzainn.com.